My professional coaching service = passion + insight + science: I am passionate about the success of women. My goal is to help you to live your most authentic and powerful life by providing the tools, support, expertise and an effective strategy to drive relationship success. The insight comes from years of experience advising individuals on how to identify and accomplish their goals, background in psychology and human interactions, personal growth and evolution, coupled with loads of research and best practices. Powered by compassion and driven by results, I'm committed to your success. The Elevated six-week program starts with an initial consultation, followed by an assessment, progressing to 45-minute weekly calls and additional support over email. - Confused about next steps: Should you break-up or try harder? Together, we'll unlock internal and external barriers to success, identify your relationship needs, get ahead of potential issues early on, and elevate your thinking, feeling and behavior to drive positive results. Transformative Coaching overlaps with the Elevated Program in its offerings and benefits. However, there are additional benefits to Transformative Coaching that is life changing. As a result of our work together, you will change the trajectory of your life. It's that powerful. After an honest inventory of your behavior and patterns, we will work together to remove the fears, doubts and insecurities holding you back. Our work results in shifting your internal wiring and, as a result, operating from a more confident, authentic and powerful self. Having this new found, elevated approach will require consistency. As you put into practice what you have discovered and learned, you will need on-going support to keep you accountable as well as continual coaching and support. As your relationship advances, you will be met with distinct challenges, which will require adaptive and effective strategies. Everyone has the capacity to experience real love. However, not everyone has the capacity to love us the way we need. - Are you getting back into the dating scene? - Do you know how to vet potential dates effectively and quickly? - Are you dealing with a broken heart and find yourself stuck? - Have you recently started dating someone new after a break-up or divorce? - Should you be dating multiple people? - Are you dealing with divorced men with children? - What about your fertility and biological clock? - Do you know how to have open, honest and effective communication with your partner that will strengthen your connection (not scare him away)? - How do you talk about sensitive matters such as finances and in-laws? - Are you dealing with boundary issues? Each stage of your relationship requires distinct and effective strategies customized for you - based on your needs, relationship status and goals. 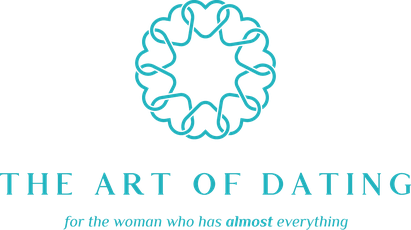 Women: This is a customized professional service for women who have already participated in The Art of Dating's Elevated or Transformative Coaching. Couples: By invitation only, I work with couples to help navigate their relationship challenges including communicating more openly and honestly, and resolving reoccurring issues in a compassionate and safe environment that strengthen their connection, bond and intimacy. Powered by compassion and driven by results, I am committed to your success. Get Started!